Water fountains have become a popular accessory to both residential and commercial establishments. In fact, water fountains can work a lot of magic in your indoor and outdoor space. With a creatively designed, constructed and installed water fountain, you can easily make your environment a timeless epitome of beauty and luxury. That is what you can get when you choose Swimming Pool Singapore for the design, construction, supply and installation of your water fountain. Our goal is to help you get the best water fountain to complement your space, budget and lifestyle. Water fountains play a pivotal role in indoor and outdoor spaces. They can create an outstanding visual appeal to enhance the décor of your property. Besides, a water fountain can also go a long way in improving the quality of air in your home or business. In fact, it delivers the ultimate environment to get down to for relaxation whenever you want to move away stressful thoughts. We can help you achieve the most appealing design, as well as supply, construction and installation of water fountains across Singapore. Swimming Pool Singapore can provide the best water fountain that suits your needs, complements other features in your space as well as preserves the tranquility and beauty of your space for many years to come. The design of a water fountain usually impacts the kind of experience that it delivers to your outdoor or indoor space. We have a wide range of water fountain designs that you can always choose from depending on the available space, expectations and budget. However, we can also create a custom-design based on your specific instructions. In every design that we create, we integrate various elements so you are able to get the best experience. However, we can also assist you in choosing the most appealing fountain to erect inside your home or in the garden. We have a track record of delivering standard equipment and supplies for water fountains that can serve you for a longer period of time. All our materials are sourced from leading manufacturers for greater performance. Besides, they also come with warranties for the best value for money. Whether you need to construct a new water fountain or improve an existing one, we have durable, eco-friendly and efficient equipment and materials for the projects. By obtaining water fountain parts and services from us, you will also be able to save more on costs. Some of the water fountain equipment and supplies that we stock include, fountain lights, fountain entertainment systems, misting systems, fountain nozzles, stainless steel materials, fountain cleaning kits among others. We have professional water fountain builders that can create just any design and size that you need for an indoor or outdoor space. After choosing the design that you need, it will be taken to our technicians to bring the presentation to reality. We can construct water fountains using different kinds of materials including natural stones, concrete, metals, fiberglass and assorted plastics depending on what will suit your needs. In the construction and installation of water fountains, we always pay a close attention to the objectives of every project. We believe that every client has unique interests and preferences that we strive to bring out in every construction and installation procedure. With us, there is always a guarantee of endless possibilities for both indoor and outdoor fountains. Swimming Pool Singapore is an accomplished company that you can always trust for the best design, construction, supply and installation of water fountain. 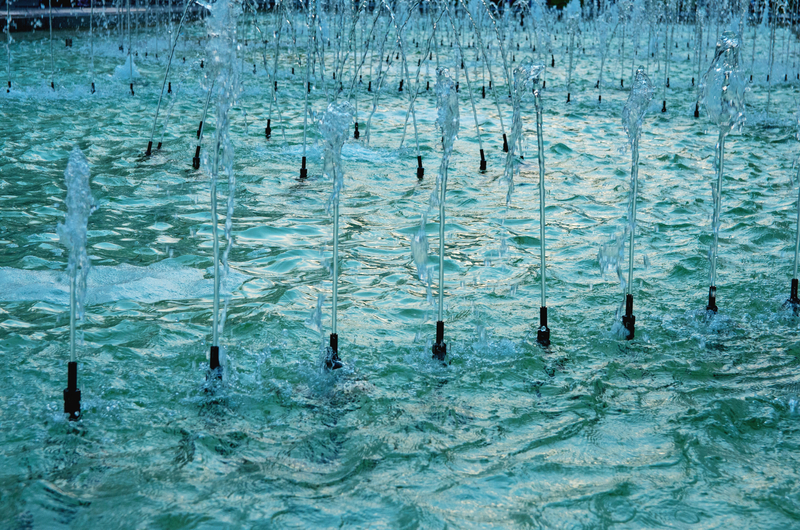 Choosing our fountain supplies and services will enable you to get the best results in every project. We present a wide range of choices in design, supply, construction and installation so the specific needs of every client is met. Another reason to choose our water fountain products and services is affordability. Since we have all the requirements for water fountains, you can always get the supplies and services that you need at affordable rates. In fact, we can help you get your dream fountain within your budget. We also guarantee unmatched reliability because we have all the resources at hand. We personally oversee all projects to make sure that you only get the best. On completion of your project, our professionals will also advice you on proper management of water fountains for the most fulfilling experience.